Ladies and gentlemen, listen up! There is something new in town and it’s coming your way on June 6th. Last month, I was lucky enough to win tickets, cocktails and food at Emporio Eivissa, an Ibiza-themed pop-up bar on the rooftop of East London’s Rockwell House, sponsored rather incongruously by Brugal rum from the Dominican Republic (thanks to London on the Inside – love their website). I guess a Spanish-speaking party island needs some Dominican rum, and who am I to question something awesome like that? To be honest, given the weather that weekend, we were all hoping for some Ibiza. It was so cold that I turned up in a vest, jumper and jacket. 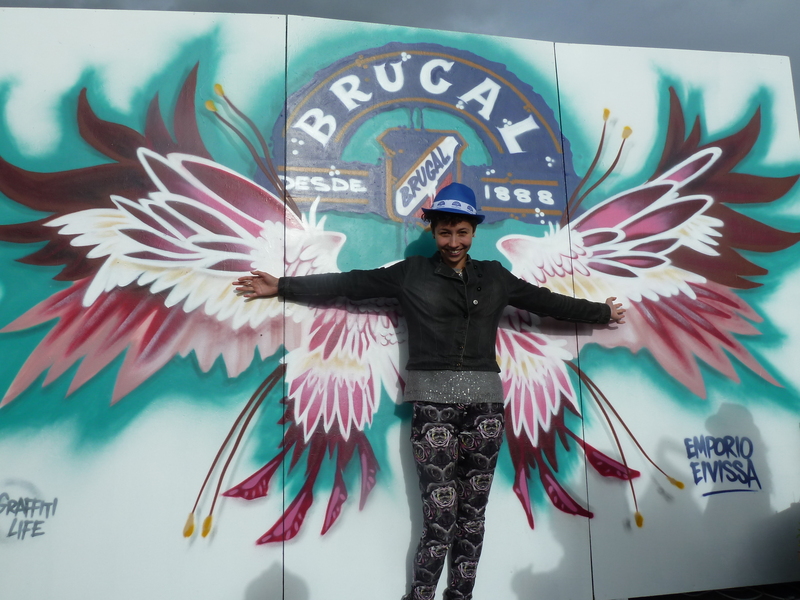 But Brugal were leaving nothing to chance – they were ready with blankets. And awesome blue hats. And watermelon & rum ice-cream, which is a very good idea. Even the sky flashed us a smile in between the showers. 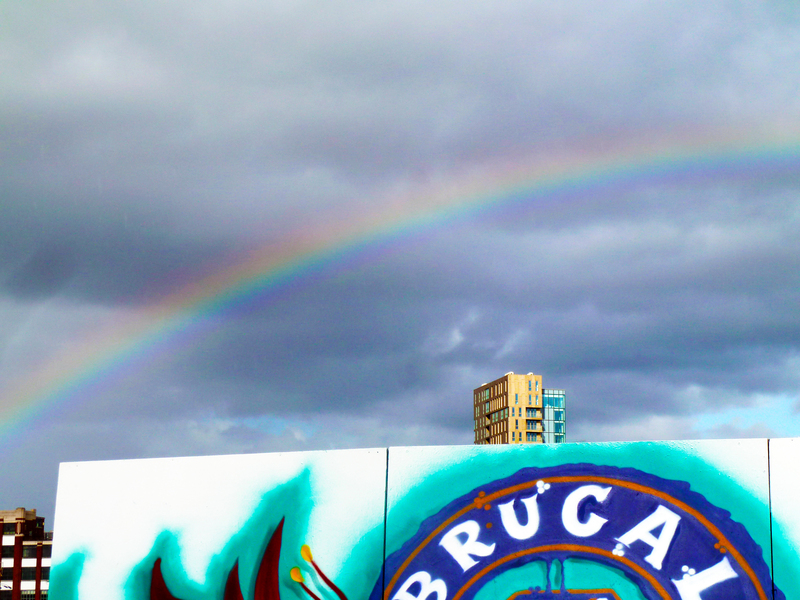 Because, yes, a rainbow appeared right over the Brugal sign. Is this a sign? Emporio Eivissa was a lovely way to spend an early evening. It wasn’t too crowded and had the right amount of space and number of comfy chairs to make it a perfect venue for chilling out. We were lucky enough to be given three cocktails each (otherwise, they were incredibly reasonably priced at £6). Being a group of six, with six cocktails on the menu, we naturally tried them all! 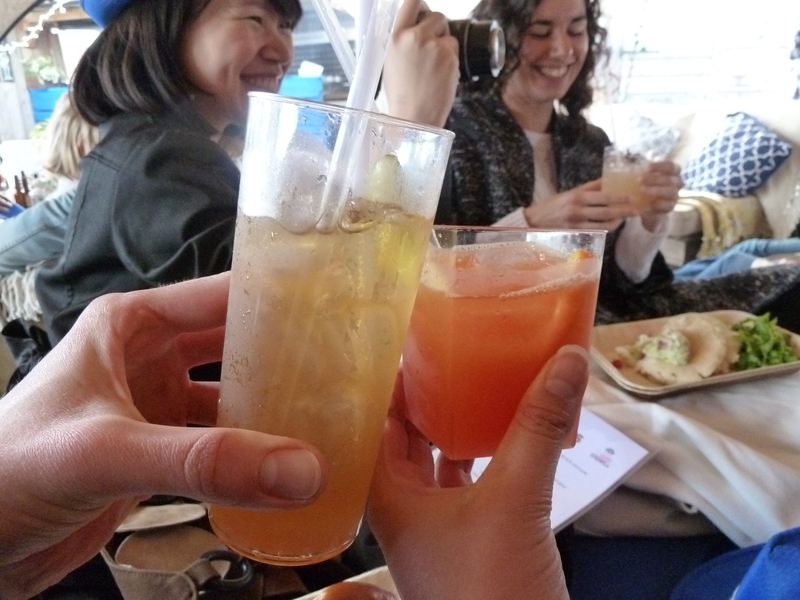 Favourites were a Watermelon & Ginger Diaquiri, which was surprisingly refreshing and much milder in flavour than you might expect, and the EIvissa – Brugal Anejo, apple juice, apple pie gomme, lime juice and ginger beer. Unfortunately, the cocktails were a tad weak so we didn’t get taste the Brugal as much as we would like. How do we know about them? Well, we took a couple of bites of the food and it was so delicious that we stalked the chefs, cornered them, and practically demanded their life stories. We had a chorizo roll (£6) that was so bursting with flavour I thought I might pass out from happiness. 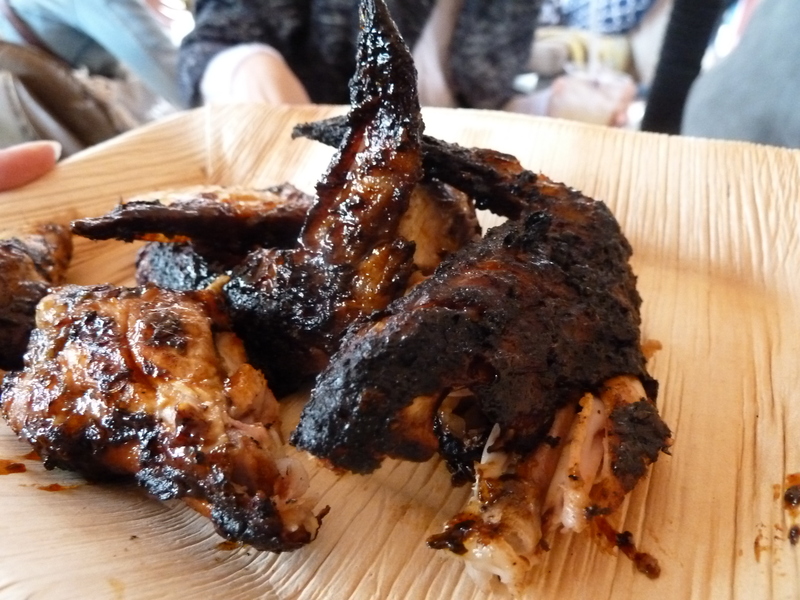 We had barbecue chicken wings (£5), beautifully marinated with Brugal, chilli and herbs. 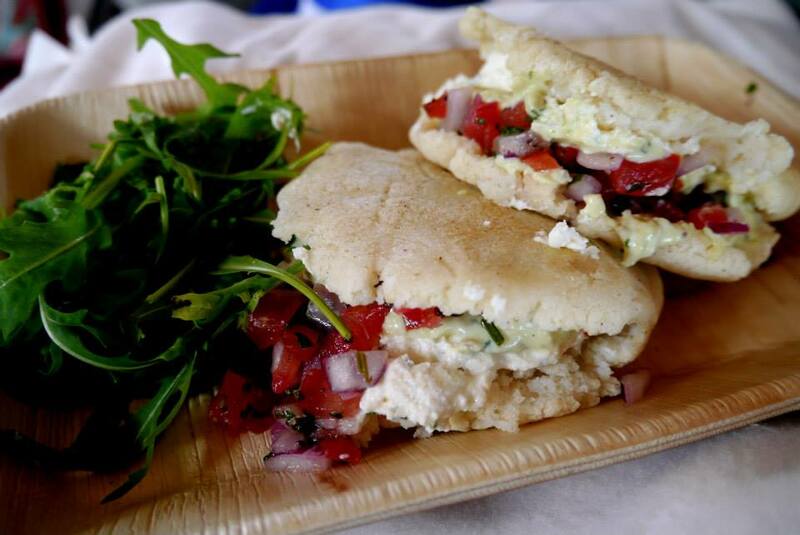 There were arepitas (£5) – corn fritters served with Brugal tomato salsa and fresh cheese – which were very tasty but overwhelmingly rich, unless you happened to be my German and Swedish friends. In that case, you would order two and then be mildly despondent when you couldn’t quite finish them. Platterform are about to begin a music-art-culture-café-bar residency at Hackney Empire, kicking off this Friday (June 6th). 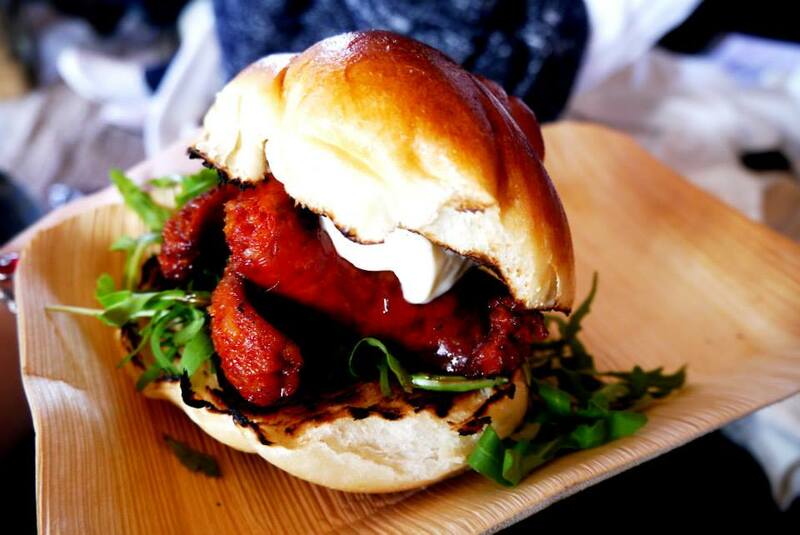 If their food is anything like what we had an Emporio Eivissa, you need to get yourselves there. 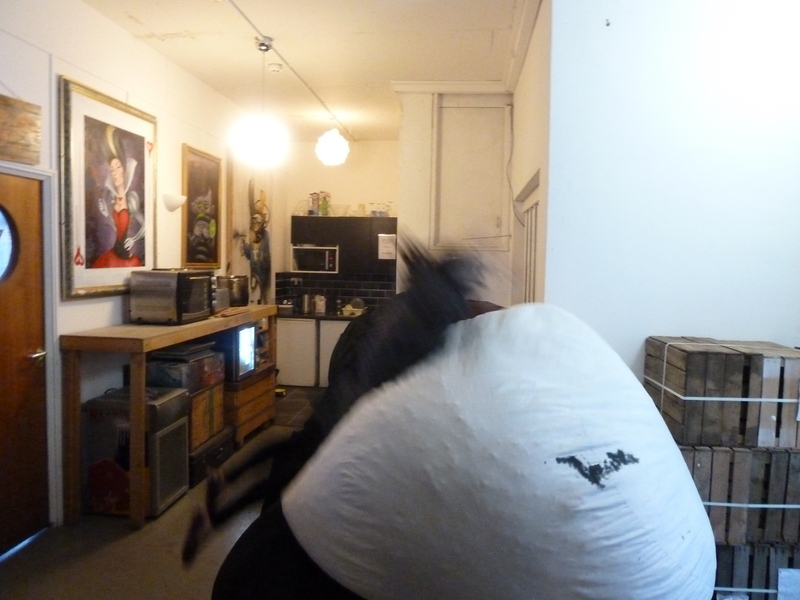 To top off our rooftop evening, we discovered a giant bean bag on our way out and made so much noise that resident artist Jim Vision came out his workshop to find out what on Earth was going on. Instead of telling us off, he ended up telling us all about his rather cool street art and then ended up being papped several times by my friend. That sounds like fun; the rainbow was definitely a sign^^. After checking Vision’s work out I noticed he likes bees. I keep bees, so I always like it when people realize how important they are^^ What were you doing with a bean bag that was making that much noise? You keep bees? That’s awesome. How much time does it take? I’d love to keep bees. Ah I would love to keep bees so much! Not having a permanent address means that this will likely be a future project 🙂 I went to a tiny island off the coast Croatia called Šolta where I was given a mini-explanation/tour of beekeeping and have been in love with the idea ever since!